KLANG: Klang Sentral, the sprawling 83-acre bus terminal which had failed to draw visitors since its opening late 2008, appears to have been given a new lease of life from a most unexpected source — the closure of the Puduraya terminal in March have resulted in passengers flocking to Klang instead of opting for buses from the temporary Bukit Jalil bus terminal. The long-suffering bus operators at Klang Sentral are understandably elated over the recent development. Bus operator Prabu Ramiah, 25, claimed ticket sales have rocketed ever since. "Before the temporary shutdown, we could not even get 15 passengers for each trip. It was bad. But many passengers are now switching to Klang Sentral as an alternative. Many have told us the Bukit Jalil bus terminal is simply too far. Though the increase is not much, at least it is improving," he said. Prabu, however, pointed out that there was no transit bus available at Klang Sentral. "Do you know that there is no bus going to Kuala Lumpur from here? We were promised that such buses would be available. But until today, there is no transit bus. Also, I think if Klang Sentral gets more publicity, more people would want to come here," he said. Another bus operator, Nurhazirah Mohd Nafiah, 25, said that last year, ticket sales were dismal. "When we first moved here, the terminal was pretty empty. Very few people wanted to come here. I admit the ticket sales is doing slightly better now but still, not many people prefer to come here. I do not blame them as Klang Sentral is far compared to the previous location in Klang town," she said. The traders, on the other hand, were unhappy with the bus terminal's situation. One restaurant owner, who only wanted to be known as Hamidah, said her business was not doing so good. "During festive seasons, I get quite a number of customers. Other than that, it's very deserted over here. On top of that, there are now more traders here, so the competition is keener," she said. Hamidah also said the high rentals made the situation difficult for traders to earn a decent income each day. Another trader, Azmi Jaafar, 23, said that normally his daily income would reach about RM150. Azmi, who sells magazines, snacks and T-shirts, added that despite the temporary closure of the Puduraya terminal, his business remained relatively stagnant. The Malay Mail team contacted NPO Management Berhad, the developer of Klang Sentral and informed them about the findings. 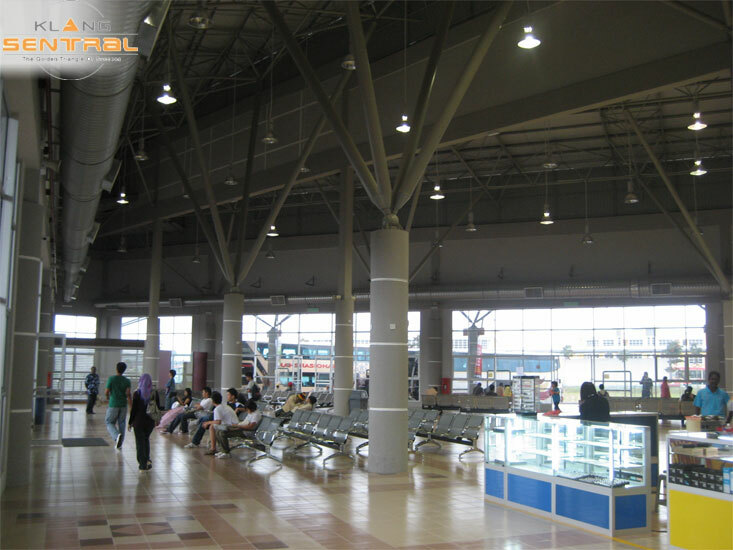 "We are happy to see that Klang Sentral is receiving more attention. We always want to provide better facilities for the people and are working on gaining more publicity for the bus terminal here," said NPO director Charmaine Lim. "We are planning more ways to attract passengers to Klang Sentral, such as getting major anchors like the Giant supermarket. "In other words, we want Klang Sentral to be much more than just a bus terminal." When asked about the unavailability of transit buses, Lim said they were not the transport policymaker but were working on the issue and hoped to sort it out as soon as possible. As for the high rentals, she said that due to the challenges which the traders and bus operators have been facing, the management gave them a 40 per cent discount. "We understand their difficulties. So, with the discount, we hope to help them run their businesses easier," she said. Lim also said the old Klang terminal was now operating for local buses only, not for express buses. 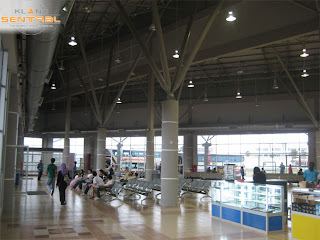 wow, it's great bus terminal.. Finally we start to see some light in this project. Nearby, McDonalds and Giant Hypermarket are fully operational. A petrol station is openng soon. Klang Sentral certainly looks promising now as compared to a year ago. Klang Sentral is having some progress now. Let's hope things will speed up over there. More buses, for instance is vital.